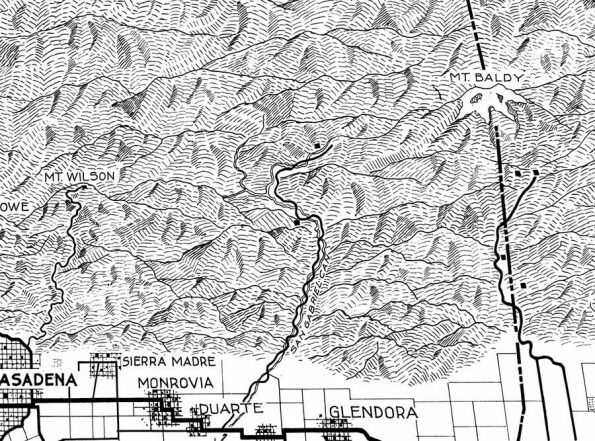 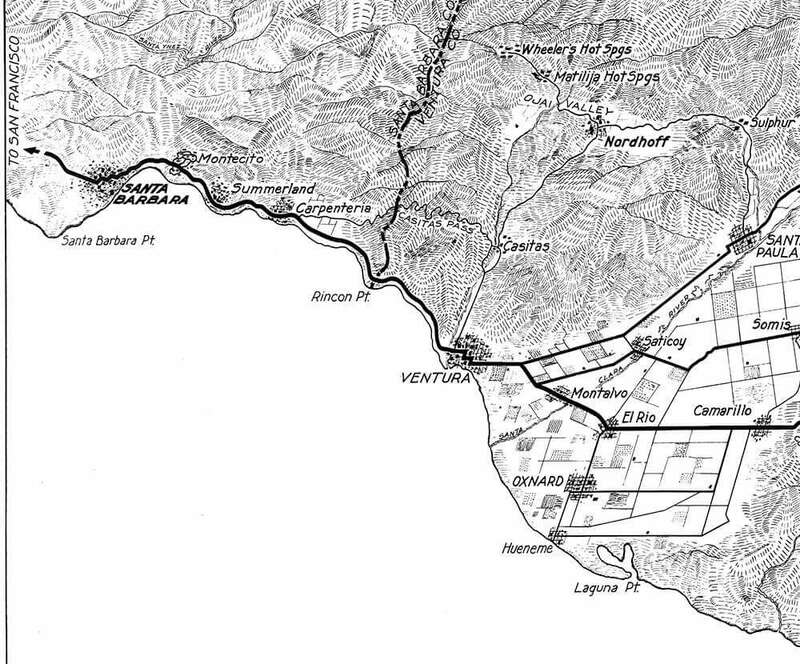 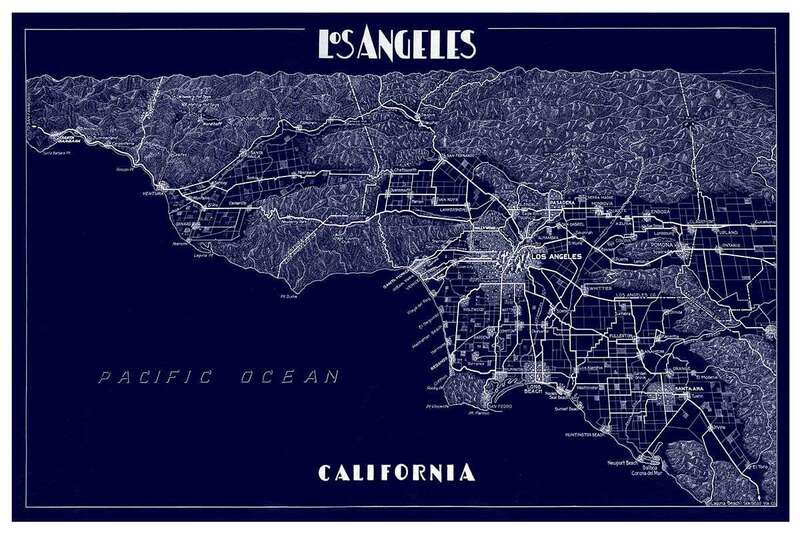 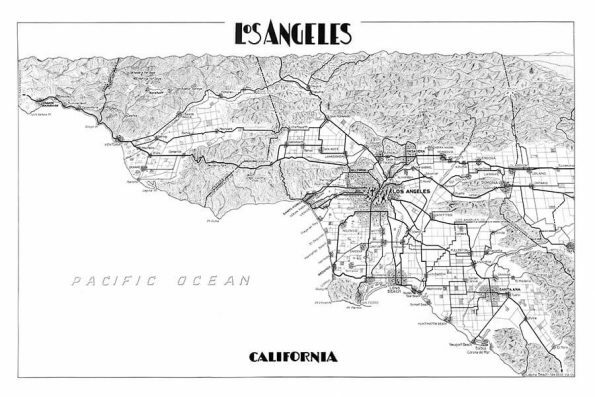 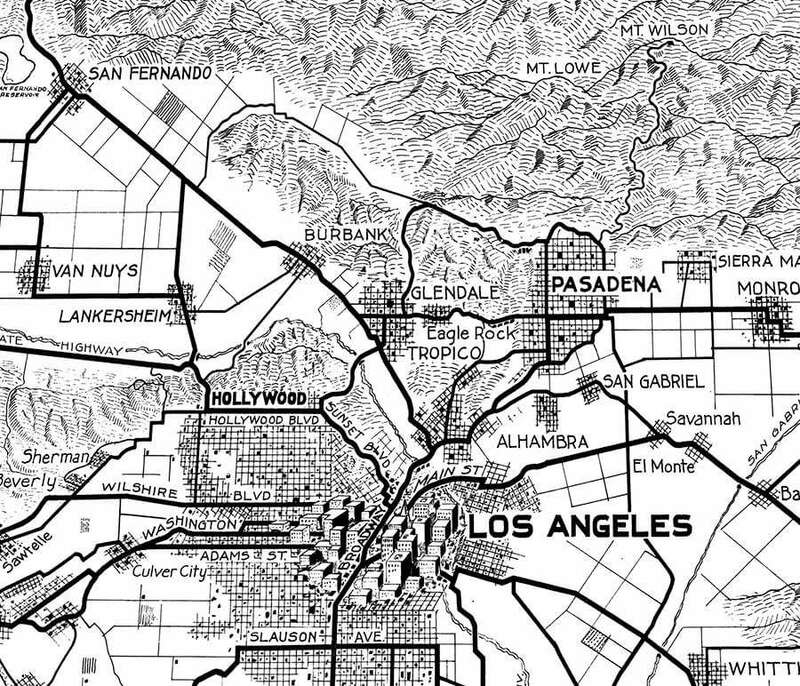 Restored and redesigned from a Los Angeles map circa 1915, this print shows the greater los angeles area including the mountains, coast and southland with great period details. 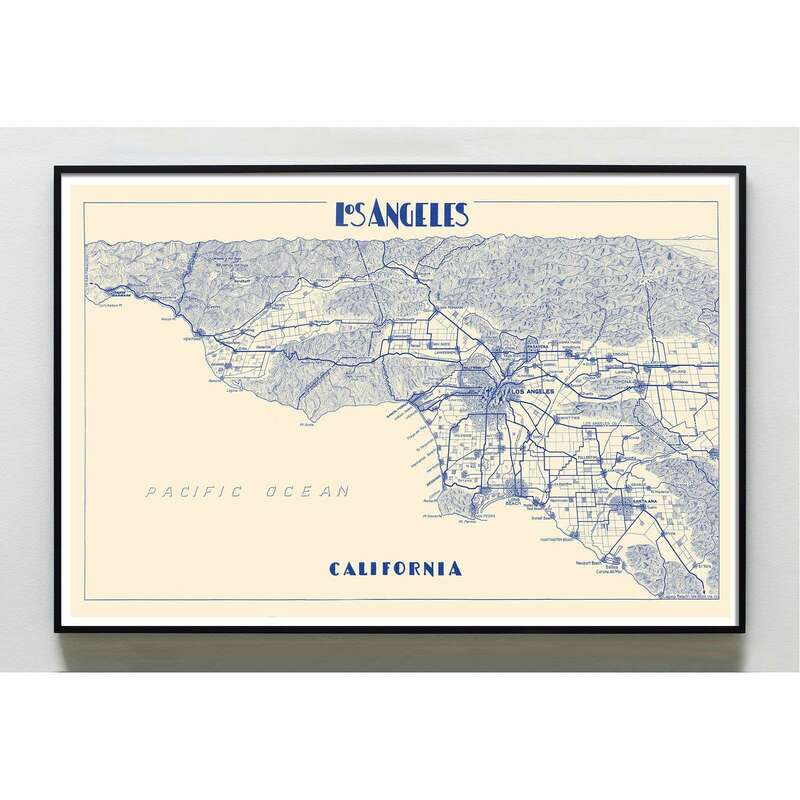 Size Choose an option8" x 10"11" x 14"16" x 20"24" x 36"
Currently available in several color schemes: navy, grey, black, and bright blue. • Fine Art Print – Not a Poster! My shop features my original art and designs as well as restored Antiquarian prints that I’ve collected over the years. 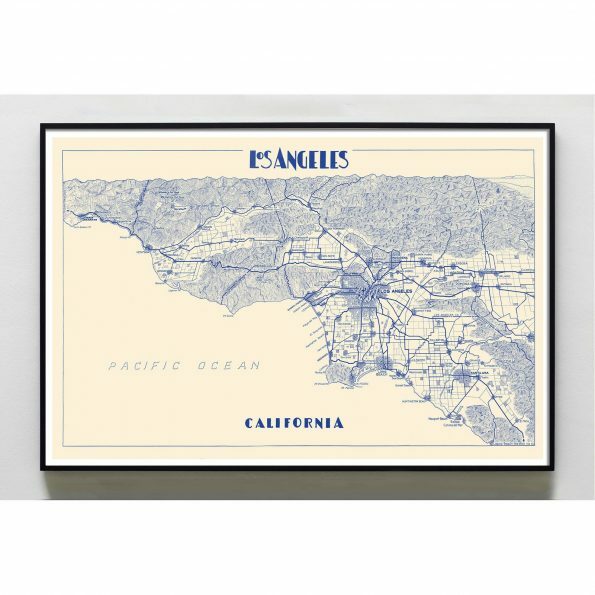 I spend a great deal of time restoring my antique prints and redesigning them to work as wall art, giving them new life with rich colors, fine linework, crisp detail, and a range of wall art sizes.